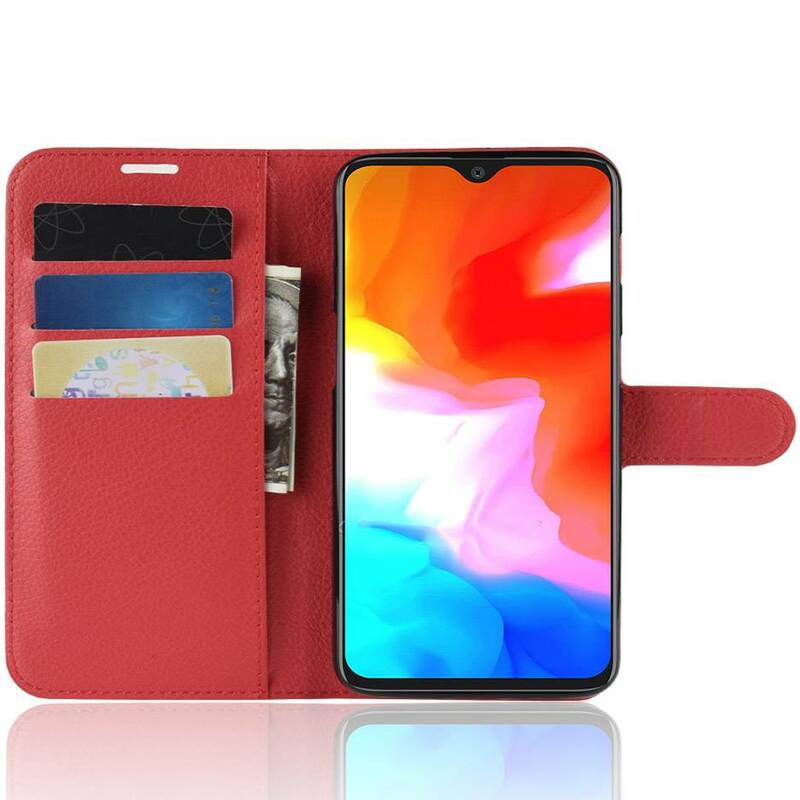 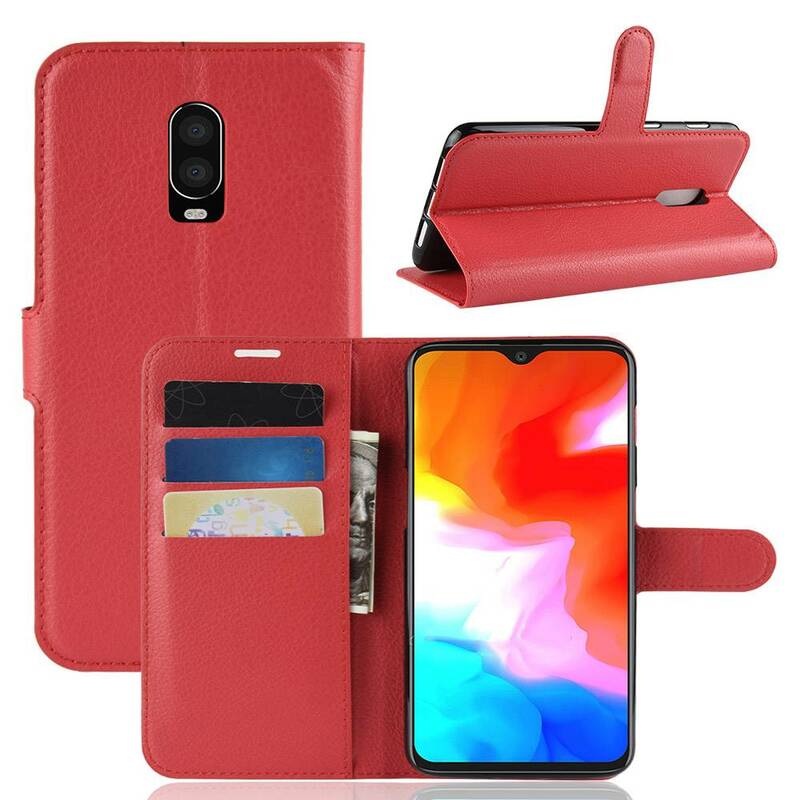 The OPPRO OPPRO OnePlus 6T Case Wallet Flip Case Red is made from durable PU imitation leather and has everything you would expect from a flip case. 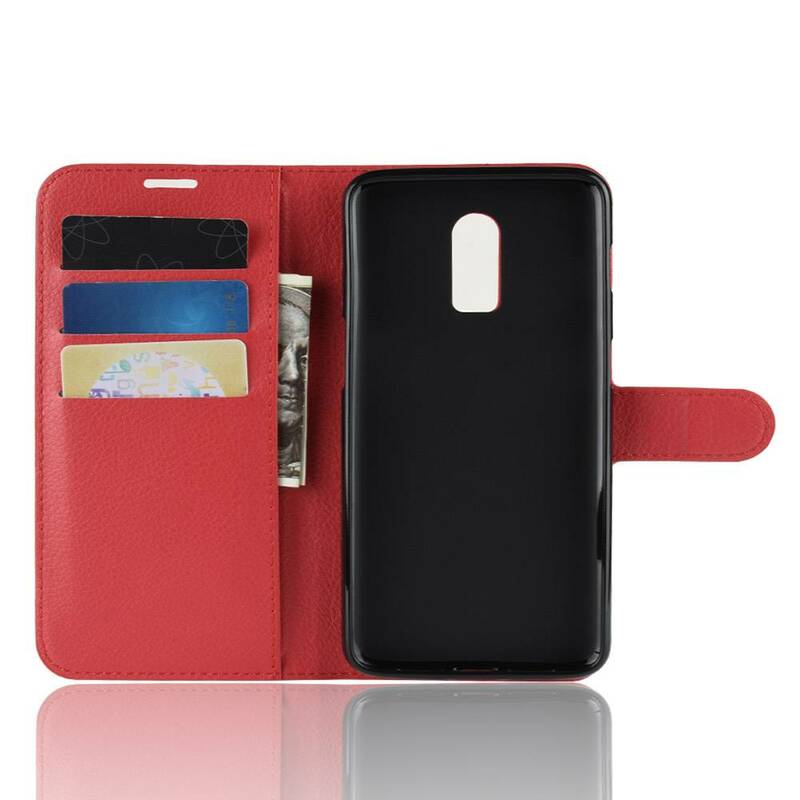 Space for money, passes and is locked magnetic! 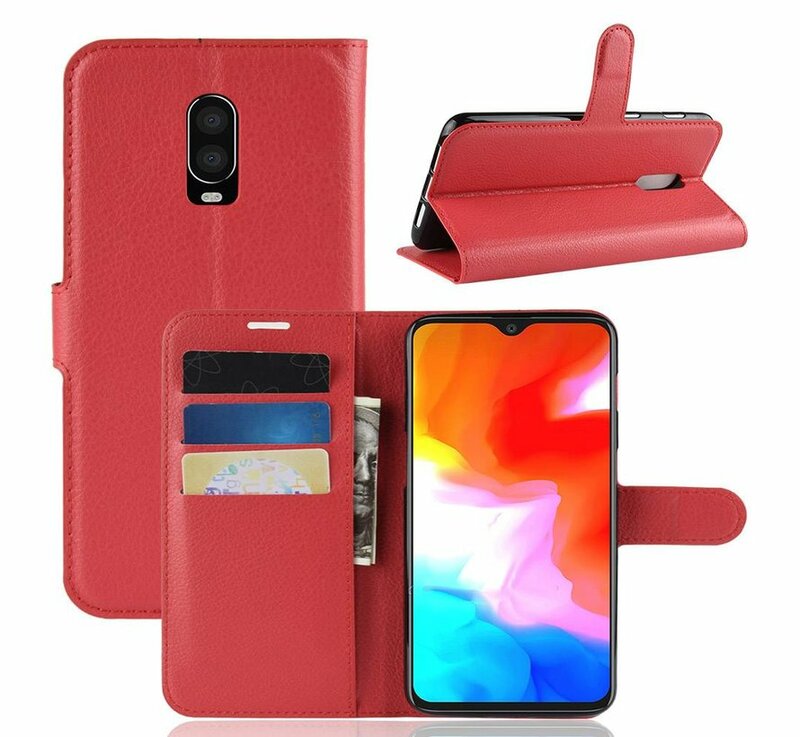 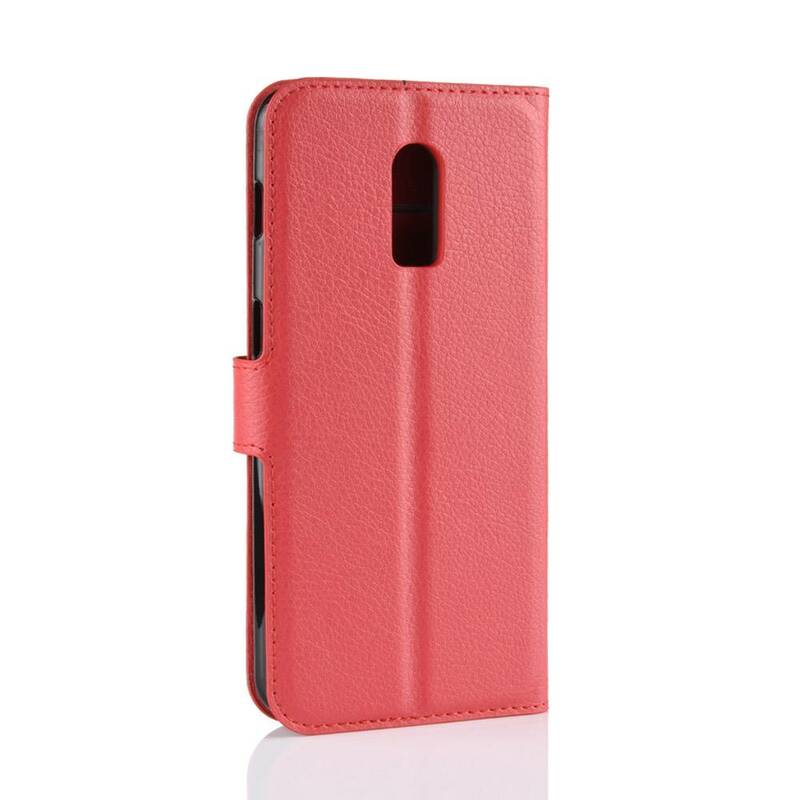 The OPPRO OnePlus 6T Case Wallet Flip Case Red is made of durable PU imitation leather and has everything you would expect from a flip case. 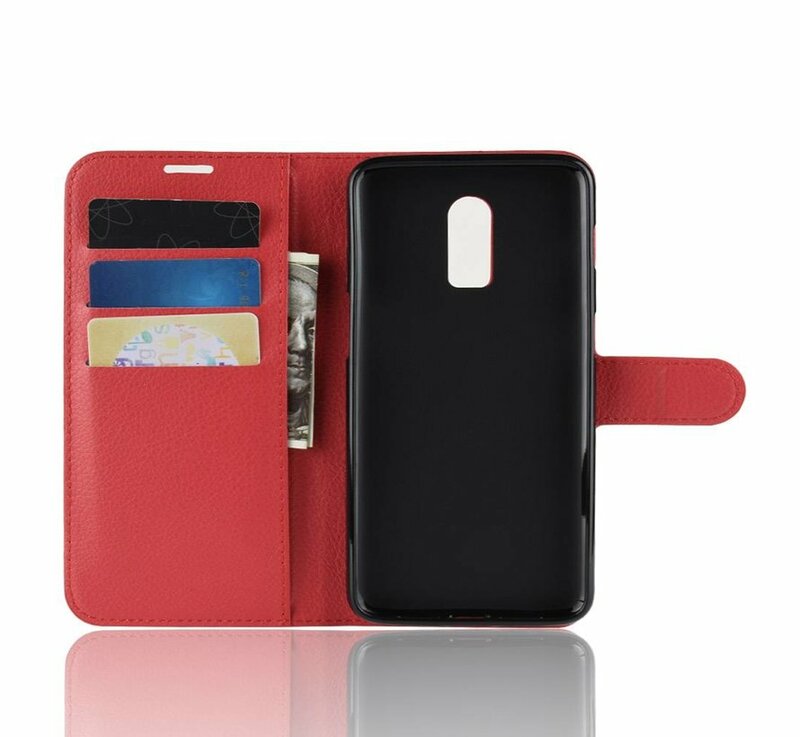 Space for money, passes and is locked magnetic! The OPPRO OnePlus 6T Case Wallet Flip Case Red has cutouts for the USB C port of the OnePlus, the volume buttons and of course the alert slider and the on / off button. 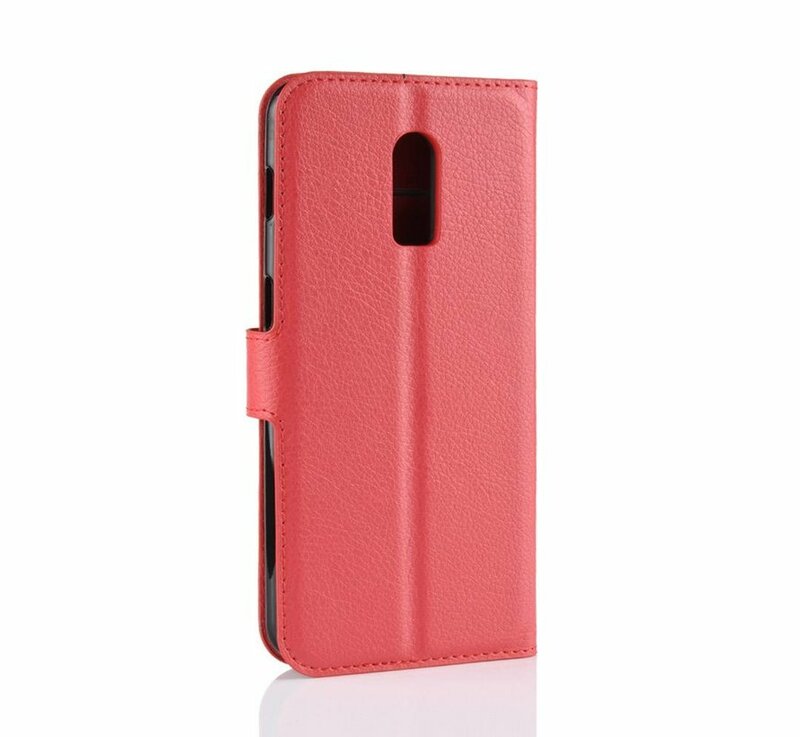 With a soft TPU inner case your OnePlus is perfectly protected. 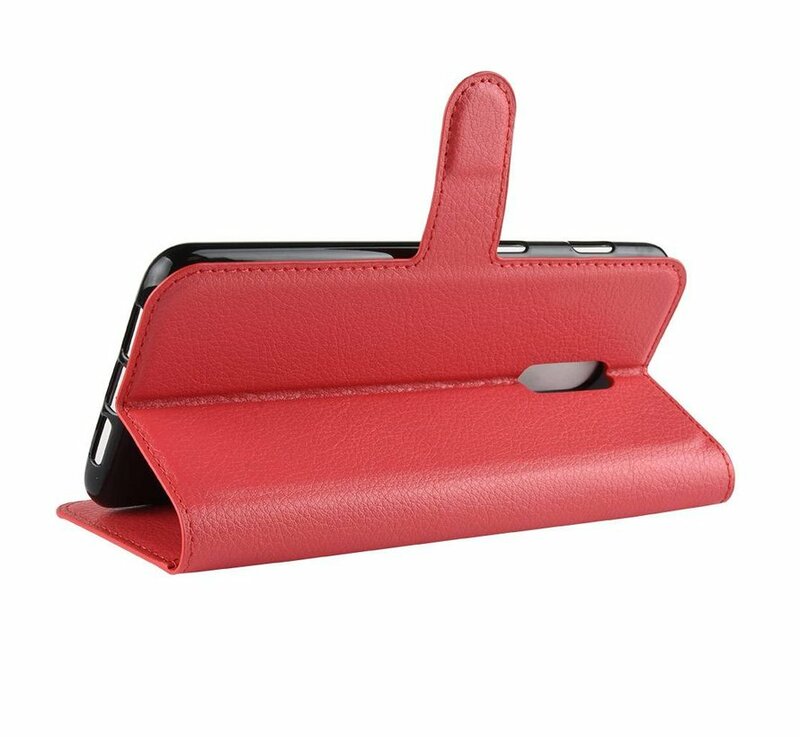 This case catches well and because it is folded over the display your display is perfectly protected! 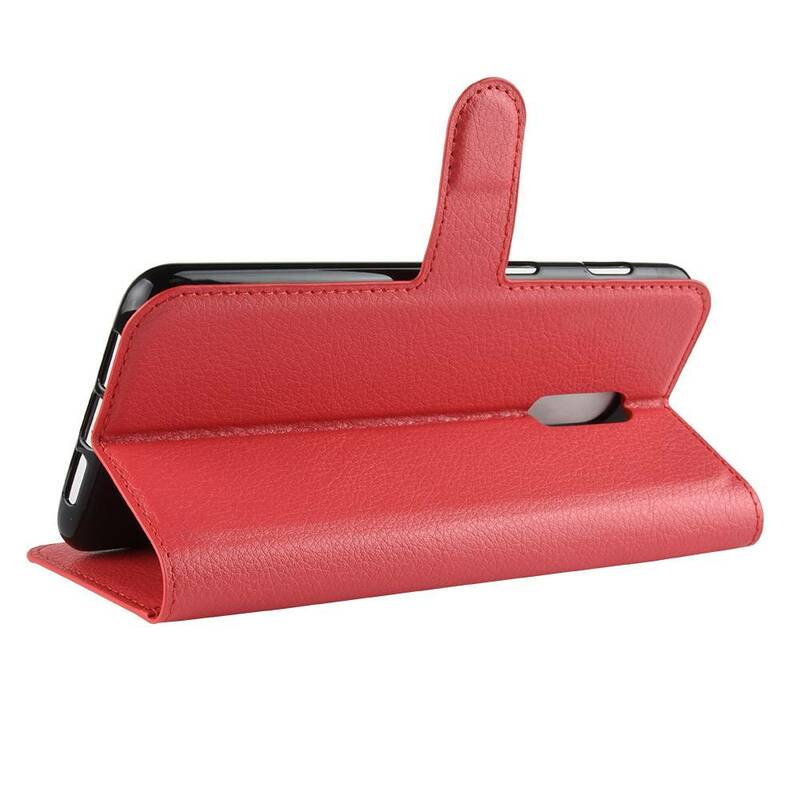 Thanks to the reinforced rear you can easily watch movies and series in landscape mode, and that is also useful for typing on the screen keyboard. 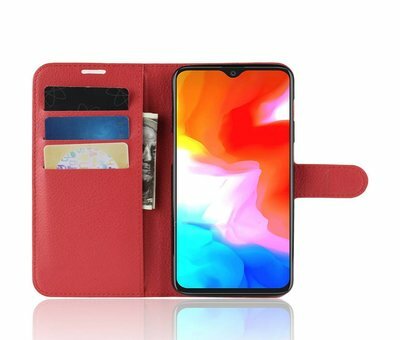 The soft inner lining protects your phone against scratches when you take it in or out of the case, while the magnetic closing button keeps the case closed when you are not using it. 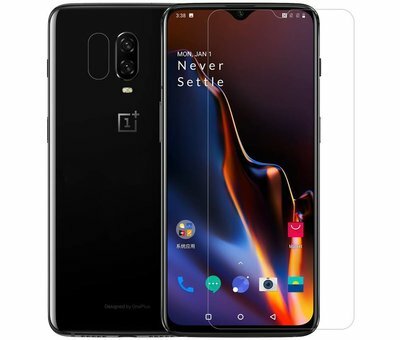 Do you want to protect your OnePlus 6T immediately, order it directly below with a screen protector. 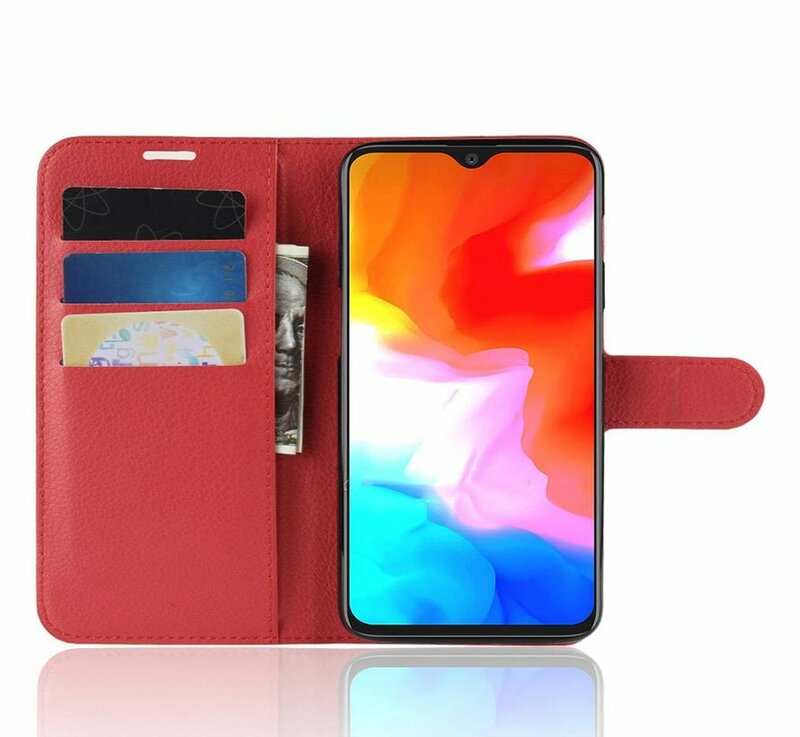 Well safe and affordable!